Sony says that price isn't as important to consumers as the quality of a product. Before finally lowering the price of the PlayStation 3 to $299, Sony struggled with the widespread view that the console was too expensive to hit its stride. Despite its best efforts to show the console's value, the PS3 remained in the third sales spot behind the Xbox 360 and the Wii. 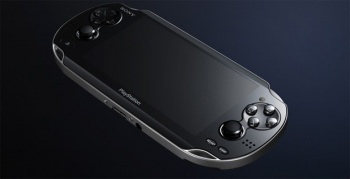 With the release of Sony's next-gen handheld codenamed NGP coming in the next year or so, consumers are wondering if the company has learned its lesson, or if the NGP will face the same uncomfortable price structure as the PS3. According to Sony Computer Entertainment of America president Jack Tretton, price just isn't that big of a deal. Tretton told Fast Company that he feels "consumers respond to value," perhaps in contrast to what was seen with the PS3, which had a lot of value but was still hard for many consumers to get into at price points beyond $399. "If you're passionate about something you find a way to go out and get it and gamers are very passionate," Tretton said. He continued to say that technology like a gaming platform is an investment that will be used for "many years." Tretton compared the investment to iPods and cellphones, saying: "People are used to spending several hundred dollars to get a portable device." Tretton's view is that consumers judge a product and its price by how worthy it is, not necessarily by price itself. "It's not to say that the price of the platform isn't a consideration, but I don't think price makes or kills a platform," he added. "Something that's lousy and very inexpensive is not going to be successful. Something that's pricey will ultimately find its audience if there's enough value there." These comments hint that Sony might have a slightly higher price point in mind for the NGP when it comes out than it'll probably become successful at. Rumors are pricing the device at $250-$350 depending on the model (with 3G or without), while Sony itself claims the device will be affordable. $250 would probably be the NGP's sweet spot, putting it right alongside the Nintendo 3DS, unless the 3DS drops in price by the time the NGP is released. The idea that price can't make or break a platform feels incorrect though, and Tretton should know first-hand by Sony's experience with the overpriced PSPgo. The digital download-only device launched at $250 and was a failure by Sony's own admission, though the company tried to spin it as a success. The PS3 is doing fine for itself now, but I would say a console's price has a lot more weight than Tretton seems to feel it does.